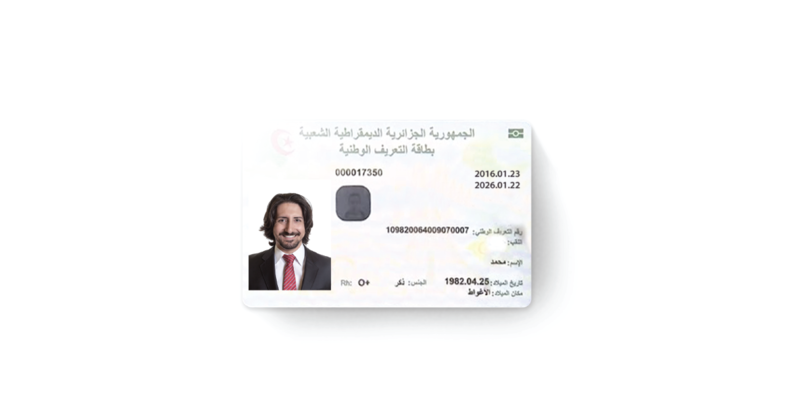 X Infotech deployed the ICAO Data Preparation solution for the production of Algerian electronic identity cards. X Infotech ICAO Data Preparation is a software solution that collects document application, profile data, keys and certificates from multiple sources and processes it according to the defined setup. Within the project, the solution has demonstrated excellent technical performance and flexibility. X Infotech deployed the ICAO Data Preparation solution for the production of Algerian electronic identity cards. Deploy software that collects document application, profile data, keys and certificates from multiple sources and processes it according to the defined setup. X Infotech ICAO Data Preparation is a software solution that collects document application, profile data, keys and certificates from multiple sources and processes it according to the defined setup. Within the project, the solution has demonstrated excellent technical performance and flexibility.